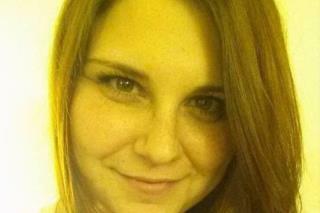 (Newser) – The woman killed Saturday during a white supremacist rally in Charlottesville, Va., has been identified as Heather Heyer, a 32-year-old paralegal at a local law firm, Newsweek reports. Heyer was part of a group of anti-racist protestors stuck by a car driven by James Fields Jr., a 20-year-old Ohio man who hours earlier was rallying alongside members of the white nationalist group Vanguard America, whose slogan is "blood and soil." In addition to killing Heyer, Fields injured at least 19 others. On Saturday, he was charged with second-degree murder, three counts of malicious wounding, and failing to stop at a fatal accident, the Daily News reports. A GoFundMe page in memory of Heyer has raised nearly $100,000 for her family. And she was there because ???? R.I.P.... Maybe they should replace the street name she died on to: Heather Heyer.